Mr. Moustache has a moustache, and he's quite the gentleman. He's polite, helpful, thoughtful, and generous. But when the barber shaves his 'stache, Mr. Moustache suddenly doesn't act the way he ought to. He slams the door on Mr. Nosey's nose, and isn't very nice to Little Miss Splendid. Could losing his moustache have made Mr. Moustache less of a gentleman? Good thing they grow back! 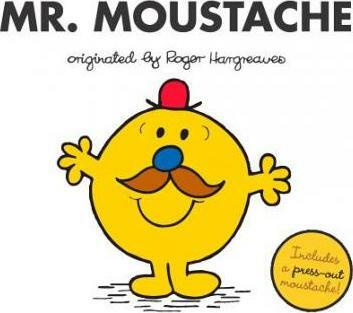 Don't miss this fun book that includes a press-out moustache.